JC Poirier began his career in Quebec, quickly moving through the ranks at Toque!, consistently voted one of the best restaurants in Montreal and Canada year after year. In 1994, after spending 2 years under chef Normand Laprise, JC decided to move West. After spending time working with Rob Feenie and Marc-André Choquette at Lumiere, JC saw his dream become a reality when he opened Chow on South Granville. Chow had the honour of winning the silver medal for Best New Restaurant in 2007 and was voted one of the Top 20 Best New Restaurants in Canada by enRoute Magazine. After a trip to Latin America to study the rich culture and gastronomy, JC returned to Vancouver. 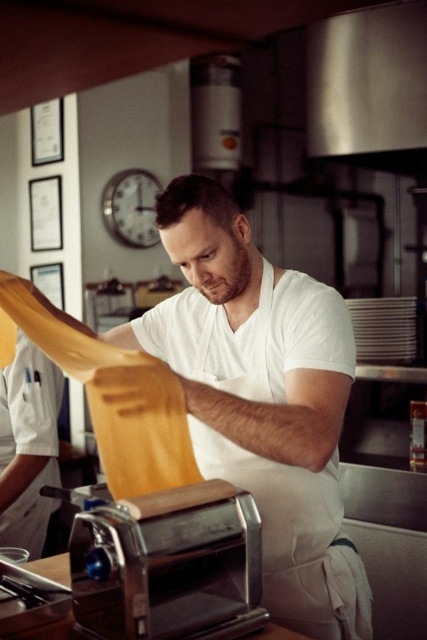 In 2011, JC was appointed Executive Chef for Pourhouse in Gastown, continuing his pursuit of excellence creating a comfort-food based menu full of seasonal, fresh ingredients. Later that year JC paired up with the partners at Pourhouse and opened Pizzeria Farina, a simple, community-focused, Northern Italian-inspired pizzeria. In late 2013 JC and the team opened Ask for Luigi, a casual and intimate Italian-inspired restaurant specializing in fresh hand made pasta and a white-forward wine list.